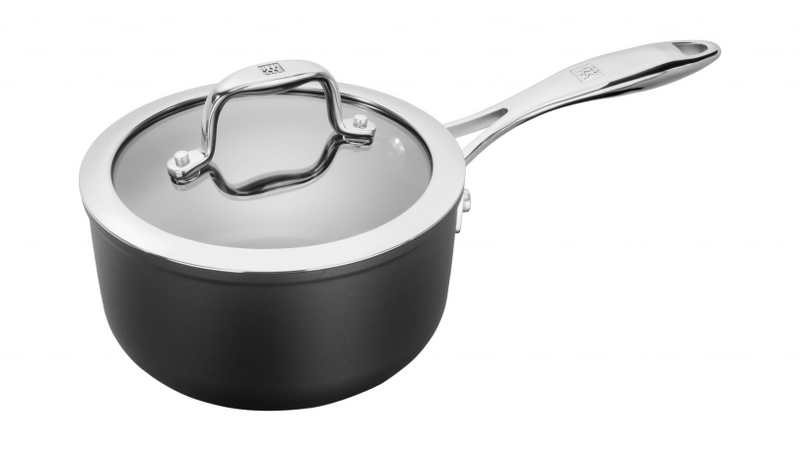 This sauce pan from the ZWILLING Forte series will complete your cookware collection. This pan has a diameter of 16 cm and a capacity of 1.5 litres, making it is perfect for creating side dishes and sauces. It is made from high-quality, solid aluminium, sealed in a new process with the Ti-X non-stick coating. This offers three advantages: The aluminium pan has outstanding non-stick properties, the heat is distributed evenly in the pan during cooking and the pan is extremely resistant to scratches and wear. Even when used every day, this pan will be an essential part of your cookware collection for many years. You can even use metal cooking utensils – the Ti-X non-stick coating lasts significantly longer than standard non-stick coatings.